The winds of change are blowing for the Blitzboks in terms of stalwarts moving on, but it doesn’t mean they should change what’s worked so well for them over the last two years on the field. 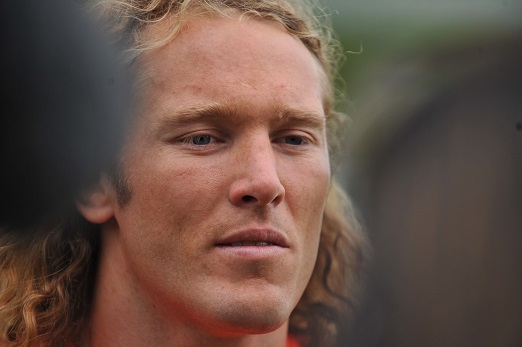 At least that’s what Werner Kok believes is the reason for last weekend’s unexpectedly lowly sixth place in Dubai. There’s no denying that the national sevens team faces a huge challenge in filling the voids left by Kwagga Smith, Seabelo Senatla, Ruhan Nel, Dylan Sage, Tim Agaba and Rosko Specman. Yet when confronted with such a scenario, it’s easy for players and fans alike to believe those men should be directly replaced by a ready-made rookie. And that’s where Kok starts seeing red lights flickering. “It felt like we played for ourselves and not the team in those opening matches,” said the wildly-haired Blitzboks star. “Maybe the guys felt that they needed to be the one to take the responsibility now that those senior guys are gone, rather than allowing our structures to look after us. Ironically, while a collective focus might suit the Blitzboks better, it didn’t seem like a coincidence that they went off the rails once Justin Geduld got injured after their second pool match. He’ll be back for this weekend’s Cape Town Sevens. “Knowing the players, they will all be desperate to correct last weekend’s disappointments and they get a chance to redeem themselves this week,” said Blitzboks coach Neil Powell.